asco valves, asco valves dealers, asco numatics, smc dealers, norgren dealers. The purpose of air regulators or better to say pressure air regulators is to manage the requirement of fluctuating pressure in the system. This type of regulators is mostly used in the pneumatic and hydraulic system where the flow of fluid control in different directions is managed with the help of valves and pressure at different intervals of time. If you want to inflate something in the industry immediately there is a requirement of pressure the more solid is the thing higher is the pressure required to inflate it. This pressure cannot be supplied on manual basis and need of air regulator is crucial in such state. Our various day to day activities are based on the use of these pressure air regulators which manage the different demand of pressure in a given system. It saves from the risk of excessive pressure force and manages its optimum level as per the need of different situations in the industry. How to buy an air regulator for your business demands? 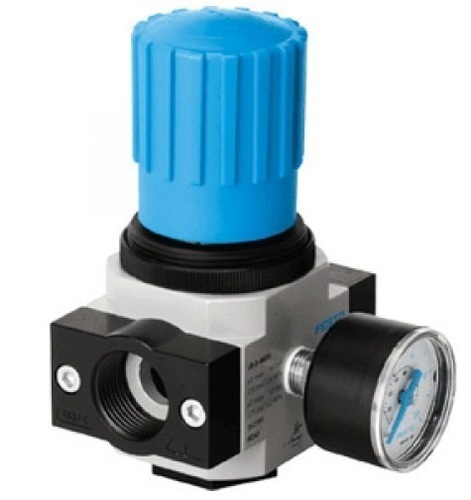 It is very crucial to understand some basic concepts of the working of a pressure regulator, its multiple sizes and series before placing an order to the merchant. A list of the needed regulators can be prepared and then this could be matched through the online air regulators present under that range and size. This is how customer can buy a good quality pressure air regulator. Many brands are manufacturing these regulators by maintain the at least average level of quality and that is why should not get worried about it. The only thing that needs to be given attention is that not to buy from a local seller who can give you waste inferior quality air regulators. Super hydraulics and pneumatics is a good name in the supply of these pressure regulators and customers can approach it for the reliable products sourced from the genuine manufacturers and distributors of the world. Since quality frauds are common in the industrial products due to lack of proficiency in buying the various products in customers. That is why it becomes very significant to have a place where buyer have the full satisfaction about the quality provided by the dealer. Mostly a decision in this concern is made by the customers based on the reviews of the supplier and their sustainability period in the market. Super hydraulics and pneumatics seller fulfils these both things easily and that is why most preferred place for buying air regulators to the customers by people. One of the best part of its services is that every brand which is catching the eyes of majority of customers is available from it and this solve the problem of roaming around in search of air regulator is various sizes and series. No doubt there are many good sellers apart from this mentioned here but it is very complicated to trust on someone for the very first time. That is why only those sellers are referred for this purpose that are already have huge number of customers on regular basis. There are various types of air regulators depending upon the control and direction in which pressure is applied by them. For instance back pressure regulators which manage the pressure situations in backward direction of fluid control to change the direction of the fluid which is flowing in a hydraulic system. Other types of air regulators are dome loaded air pressure regulators which are followed by air loaded pressure air regulators. No limit is there to buy any kind of these air regulators to the customers from the website of super hydraulics and pneumatics is exerted by the seller and that is the reason why people find it comfortable to shop their need of these regulators from the mentioned supplier. So let off all your worries regarding the quality, quantity, price and brand of air regulators when buying from the super hydraulics and pneumatics. The dealer is active in India and abroad to equal extent in the supply of following products without disappointing the customers.